Feast your eyes on the pictures below and then break out the pots and pans to make this healthier version of an old family favorite comfort food. The beauty of this recipe is that you can change it up to go even healthier than as shown. Variations include using all cauliflower and no pasta, or substitute quinoa for the pasta and load up on the cauliflower. 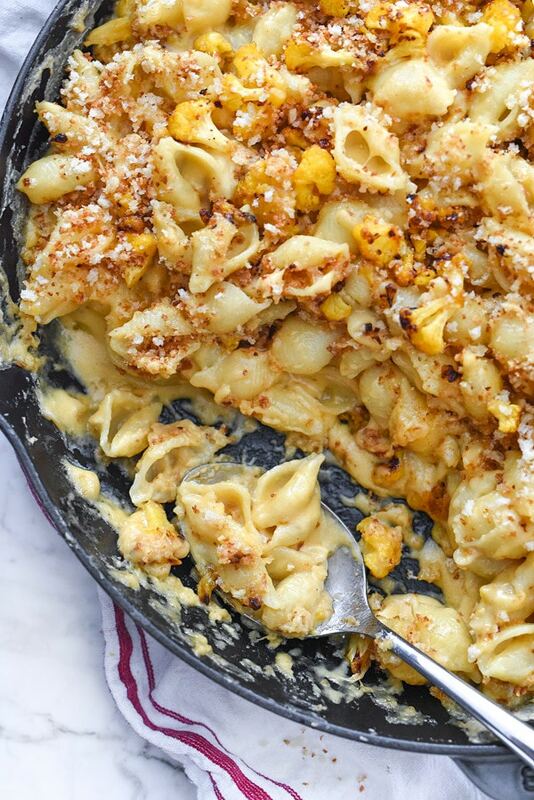 Even skip the breadcrumbs if you’re trying to limit gluten and carbs. 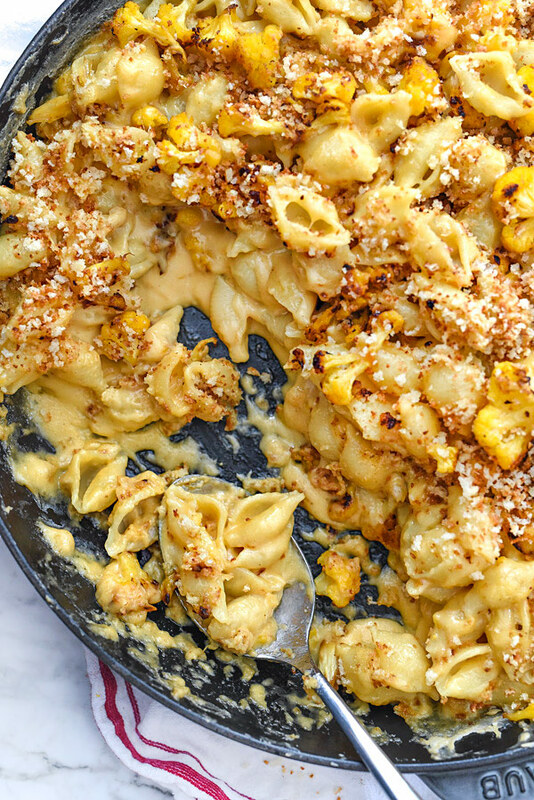 Try adding in other veggies for a great slightly different version, broccoli or tomatoes work great in all mac and cheese dishes. You can even add in chicken or tuna and make a complete meal out of it. Happy Cooking All! 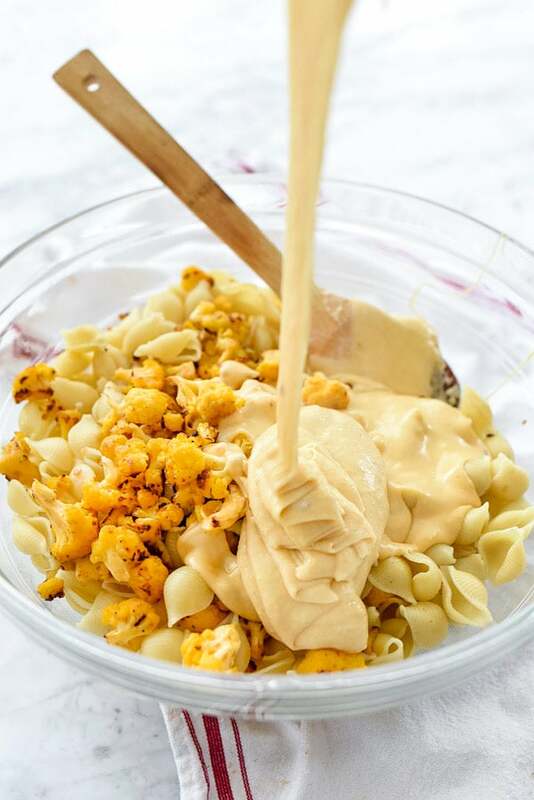 This easy and extra cheesy mac and cheese dinner gets a healthified veggie bump thanks to caramelized cauliflower added to the velvety cheese pasta to create a whole new take on a comfort food favorite. 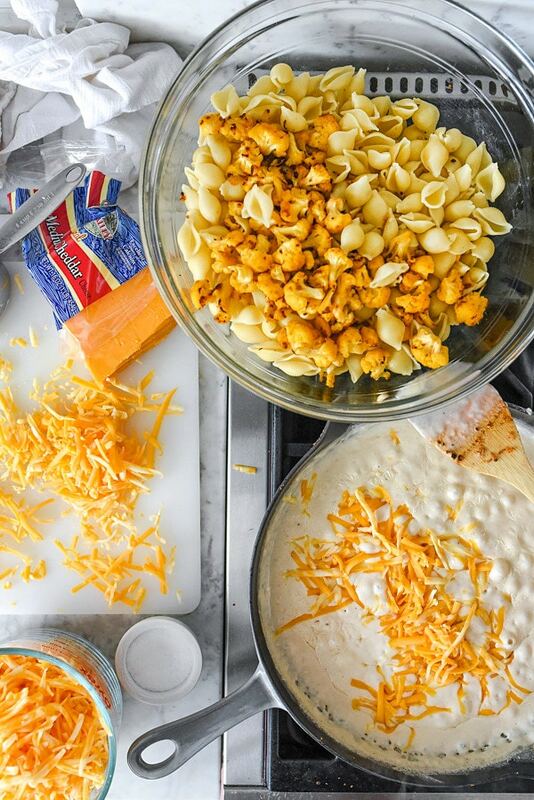 For this mac and cheese recipe I used a combination of Medium Cheddar to really get that cheese-flavor point across the palate, and Colby and Monterey Jack to add to the sauce’s cream factor. Calcium. Protein. They’re naturally added in there too. 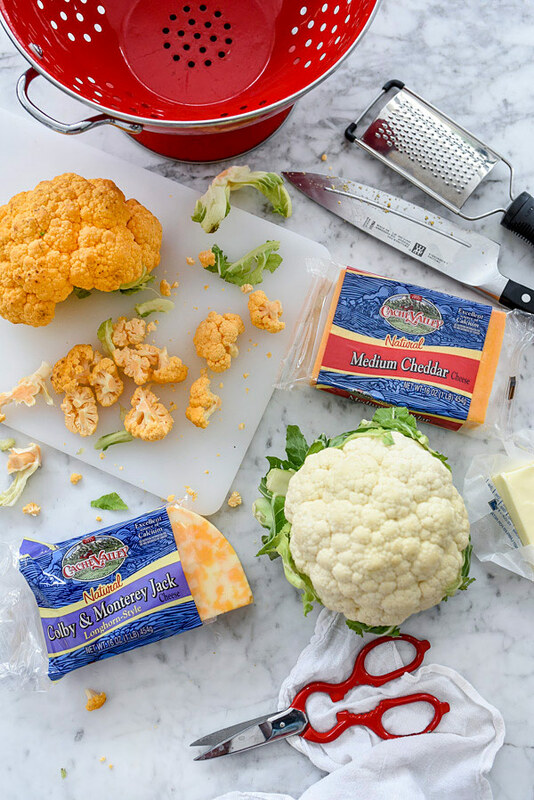 The cheese is all added to the simple butter, flour and whole milk roux cooked in the same pan as the cauliflower. 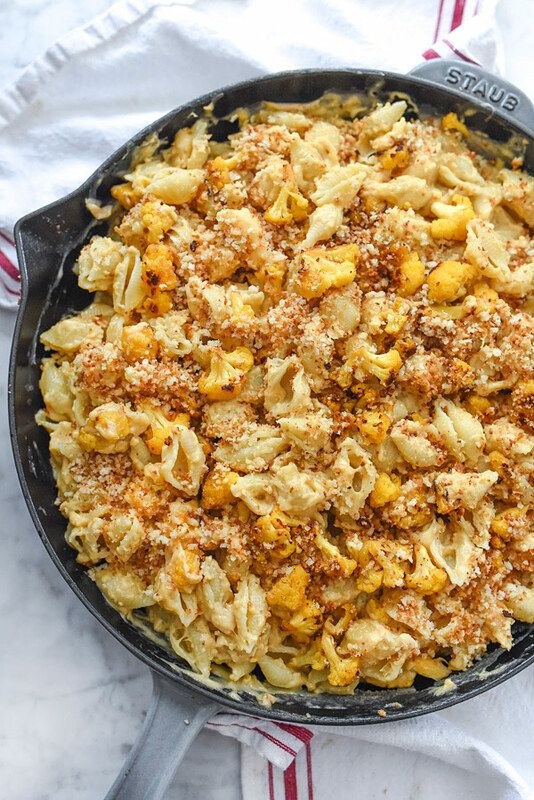 One of my favorite parts of this mac and cheese, and what pairs so deliciously with the creaminess of the cheese sauce, macaroni, and the tender cauliflower, are the garlicky bread crumbs generously sprinkled on top. The contrast in texture is spot on and instantly addicting. To roast the cauliflower, in the same skillet, melt 3 tablespoons of butter. Add the garlic and cook for 30 seconds or until fragrant. Add the cauliflower to the pan, reduce the heat to medium and cook for 5 minutes, stirring occasionally, and add ¼ cup water. 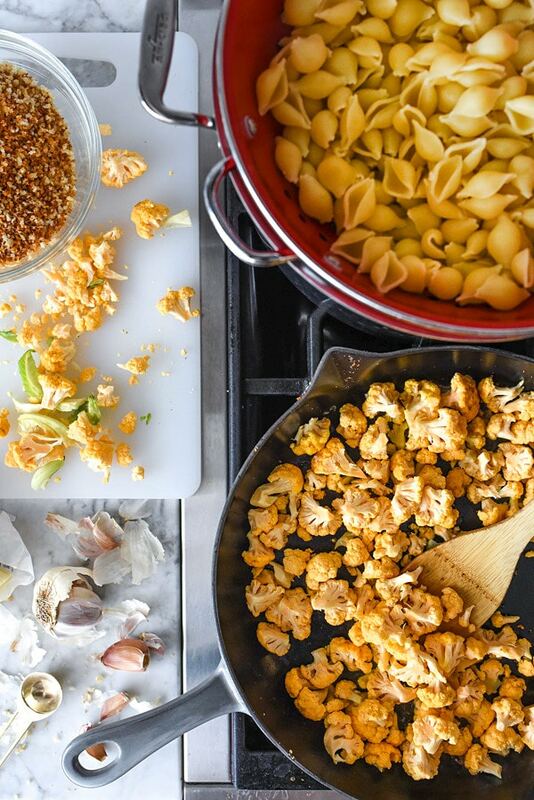 Cook for another 5-7 minutes or until the cauliflower is softened and caramelized. Season with kosher salt and freshly ground black pepper, then add to the pasta. 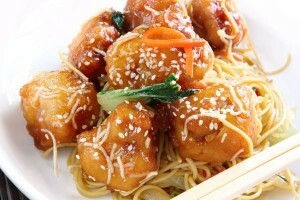 Like Chinese Food but not the MSG and any other additives? This recipe starts out very healthy, but feel free to make it your own. For the sauce: in a small bowl or glass, combine water and cornstarch to make a slurry and stir until dissolved. Set slurry aside. Place honey, soy sauce, apple cider vinegar, sesame oil and red pepper flakes in a medium saucepan over medium-high heat, and bring to a boil. Slowly stir in cornstarch slurry and reduce heat to a simmer. Mix until cornstarch has cooked out and sauce has thickened, 5-10 minutes, and set aside. In a large, shallow dish, mix together flour, cumin, chili powder, salt and powder. Set up a bowl with the buttermilk and place next to your workstation. Piece by piece, dredge chicken cubes in flour, coat fully in buttermilk, drip off excess, and dredge again in flour and spice mixture, pressing firmly to adhere. When oil is hot enough (when splashing some water into it causes it to sizzle, but it’s not smoking or burning) add chicken cubes and cook for 4-5 minutes, flipping in the middle, or until chicken is an even golden brown and crispy. Use a slotted spoon to transfer chicken to a paper towel-lined plate. Move all chicken pieces to a large bowl and pour honey sauce over the top. Toss to coat thoroughly and add sesame seeds. It’s summertime, but that doesn’t have to mean all backyard grilling all of the time. For a light yet satisfying summer meal, try this recipe from the American Heart Association’s “Go Red for Women” campaign to create heart-healthy choices. Enjoy! 1. Set the orange zest aside in a small bowl. and refrigerate for 30 minutes, turning occasionally. 4. Preheat the oven to 425°F. Line a baking sheet with aluminum foil. Lightly spray the foil with cooking spray. brown sugar mixture over the flesh side of the fish. 6. Bake for 14 minutes, or until the fish is cooked to the desired doneness. 7. Using a metal spatula, lift the fish out of the skin. Transfer to plates. Serve with the lemon wedges. 8. 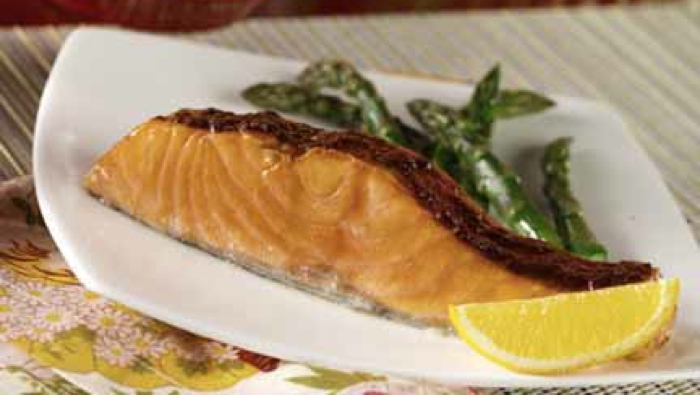 Cook’s Tip: Marinate the salmon for only 30 minutes so the texture will remain firm. © American Heart Association. Look for other delicious recipes like this from our Go Red For Women magazine cookbooks published by Publications International, Ltd. (PIL) at ShopHeart.org. 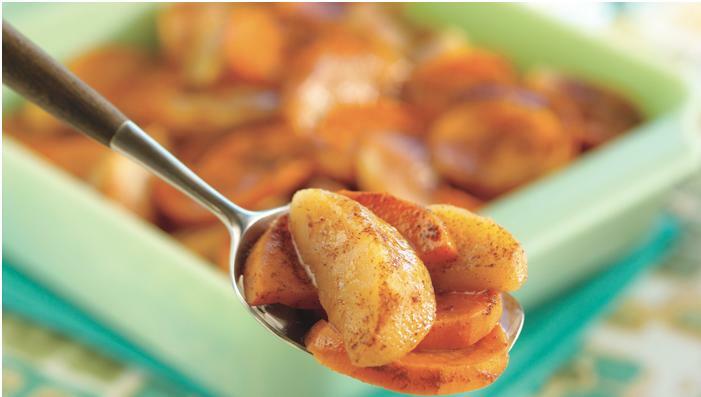 Here’s a great “winter” recipe, and very easy to make. Chicken Pot Pie! You can add whatever veggies you like. 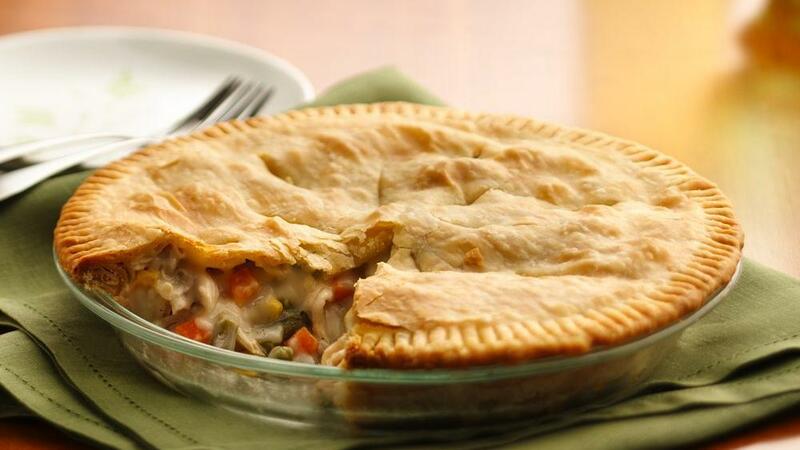 Check out this budget-friendly take on the classic recipe complete with chicken, mixed vegetables, a rich homemade white sauce and a flaky pie crust. 1 Heat oven to 425°F. Make pie crusts as directed on box for Two-Crust Pie using 9-inch glass pie pan. 2 In 2-quart saucepan, melt butter over medium heat. Add onion; cook 2 minutes, stirring frequently, until tender. Stir in flour, salt and pepper until well blended. Gradually stir in broth and milk, cooking and stirring until bubbly and thickened. 3 Stir in chicken and mixed vegetables. Remove from heat. Spoon chicken mixture into crust-lined pan. Top with second crust; seal edge and flute. Cut slits in several places in top crust. 4 Bake 30 to 40 minutes or until crust is golden brown. During last 15 to 20 minutes of baking, cover crust edge with strips of foil to prevent excessive browning. Let stand 5 minutes before serving.